Our board consists of 6 members. To meet them, click here. The Foundation is audited annually by an external auditor and copies are available upon request. Great care is taken to ensure the Foundation focuses on the funding priorities of Economics Arkansas. 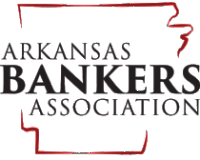 A direct line to Economics Arkansas’ Chairman of the Board and President of the Board is maintained, as these individuals serve as “special directors” on the Foundation Board. In addition, Economics Arkansas' Board Treasurer serves in an ex-officio capacity, while Sue Owens and Kathy Moore serve as staff liaisons to the Foundation. In addition to Planned Gifts, the Foundation manages major gift endowments. Endowments are permanent gifts invested by the Foundation under any designations made by the donor, plus the advisement of its investment firm(s).